The team of researchers, led by Professor Rus Hoelzel in Durham University's (UK) Department of Biosciences (together with collaborators from the Department of Earth Sciences in Durham, the University of Liverpool and Marine Scotland), studied a species of fish called the roundnose grenadier. They say this is the first evidence of natural selection maintaining separate specialised types of the same species of fish, each adapting to different habitat depths within a single population spanning two kilometres of depth in the deep sea. Their study is published in the journal Nature Ecology & Evolution. 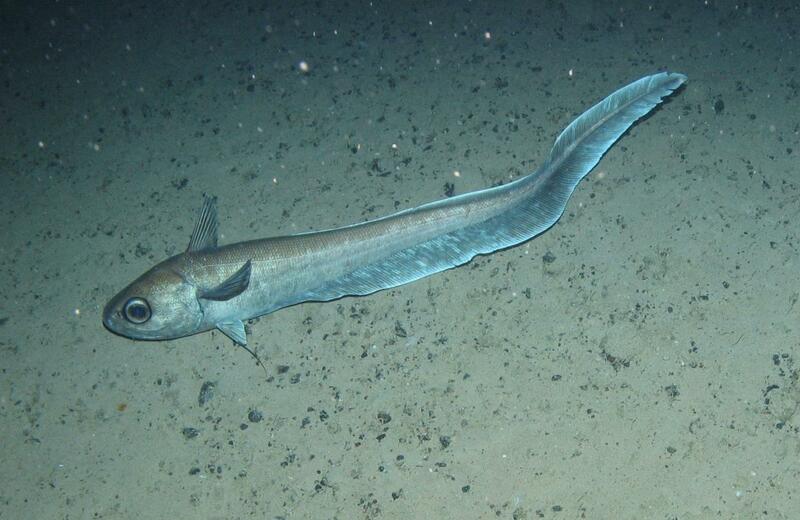 The researchers said that an important transition in the deep sea is where the penetration of light ends dividing the relatively vibrant mesopelagic from the dark bathypelagic part of the ocean below approximately 1,000m. The roundnose grenadier has a remarkably broad habitat range in the deep sea, from 180-2,600m in depth. The research looked at a section of ocean inhabited by this species running from 750m to 1,800m at a single location, crossing the boundary between the "light" and "dark" parts of the ocean. They sequenced the entire nuclear genome of this species, and identified all of the genes within that genome that code for biological functions. They then sequenced 60 more genomes, 15 from each of four depths (750m, 1,000m, 1,500m and 1,800m). This revealed adaptation to depth at functional genes, with all of the 1,800m fish different from the others that lived at shallower depths. Those adapted genes were associated with the building of different body forms and functions as the individual matures. Furthermore, they found strong evidence for ongoing natural selection such that either extreme form was favoured at the expense of the intermediate type. This "disruptive" selection can lead to the evolution of new species when the different types also mate preferentially with their own type. However, in this case, there was no clear evidence for mating with one's own type. Instead, the young ('fry') fish stay at approximately1,000m until they mature, and then segregate to different depths according to their genetic makeup. This provides a uniquely clear example of how different specialists within the same species, in this case adaption to life at different habitat depths, can be maintained even within the same geographic population. This might help prepare a species for a rapid response to a changing environment, such as rapid climate change. Differentiation among ecotypes may be driven by the distinction between a resource rich environment in shallower water, and a relatively resource poor environment deeper down the slope. Lead author, Professor Rus Hoelzel, in Durham University's, Department of Biosciences, said: "The oceans represent vast expanses across which there are few obvious barriers to movement. "As in the environment above the sea, we tend to think about movement in a horizontal dimension, across the breadth of the oceans, but at sea there are perhaps even greater habitat boundaries and gradients as species move vertically with depth. "Our research shows that these fish have adapted to life at different depths, and that they segregate by depth as they mature, based on their genetic makeup."